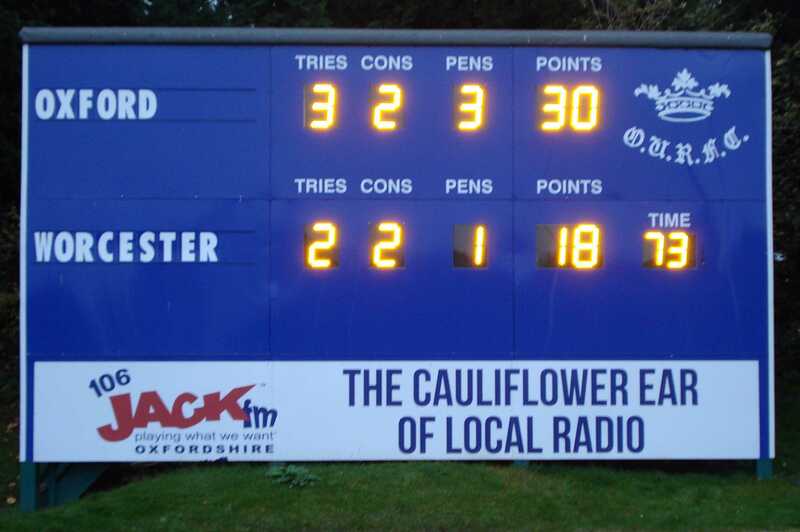 OURFC contacted ESU in late September to see if we could help with replacing some of the broken electro-mechanical digits in their scoreboard. A site visit was arranged to establish the extent of the problem and the decision was made that as the displays were obsolete the best course of action was to refit the scoreboard with LED digits. Custom software was developed to enable single button scoring and once this had undergone thorough testing, we were able to go ahead with refitting the scoreboard. This was completed at the start of November, in time for the Blues forthcoming matches against Bristol and Major Stanley’s XV. ESU has a standard range of electronic scoreboards suitable for most sports, or can develop a custom solution to meet your specific requirements. Contact us to see how we can help you.